Water Jel Technologies - ISOPROPYL ALCOHOL SPRAY 2 OZ. 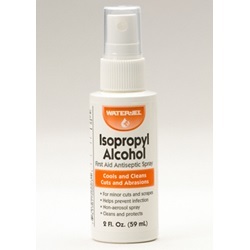 ISOPROPYL ALCOHOL SPRAY 2 OZ. First aid antiseptic 2 oz. spray, with Isopropyl Alcohol, helps cool and cleanse cuts and abrasions. 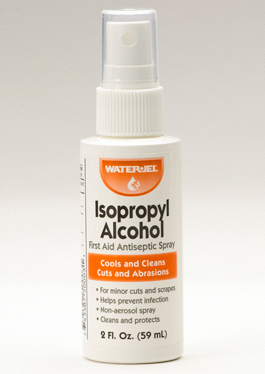 Active ingredient Isopropyl Alcohol 70% helps decrease risk of bacterial infection from cuts, scrapes and bites.